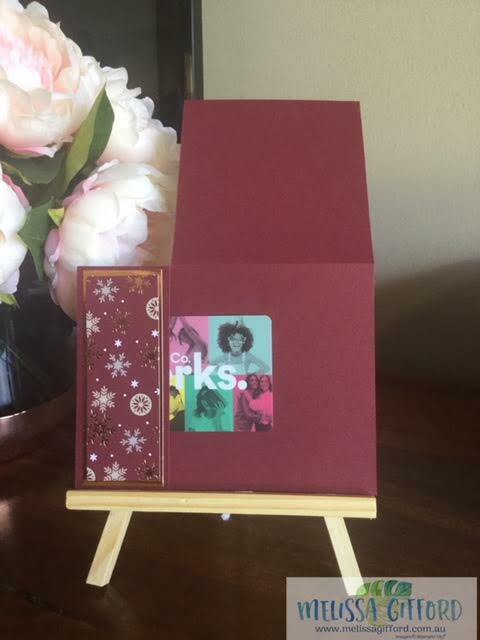 Today I have created a gift card holder and card in one. It was an idea I got from Dawn Griffith. 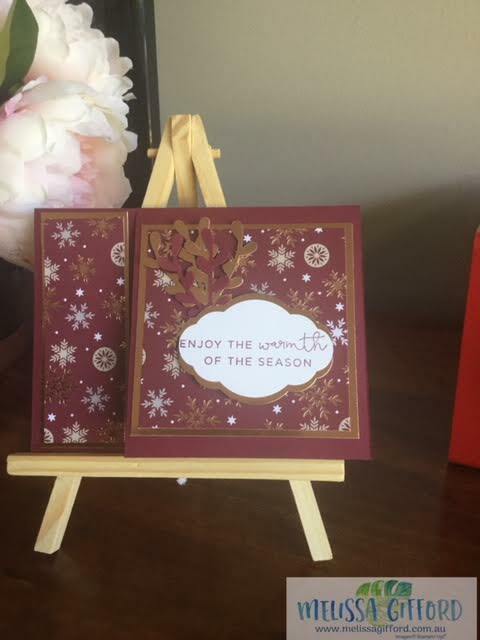 I just love the copper and merry merlot colours together and the designer series paper gives it a classy edge. The left hand side of the card is taped down on the edges leaving a gap for the gift card to be added. I love the sentiment too. The written note can either be added under the gift card or on the back. I am off to make some more, Christmas is fast approaching and my gift list seems to be getting longer not shorter!